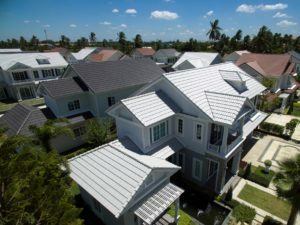 Advanced Colour Painting Services provide high quality roof painting services in Sydney, whether your roof is a tiled one or a colour bond one. Our highly qualified roof painters will repair, clean and repaint your house’s roof, bringing it to an all new life. As your building gets older, its roof starts aging and it requires regular maintenance services. Otherwise, it may fade down, and begin to leak. Our roof painting services in Sydney will restore any faded paint on your roof, clean the moss away, remove any grime build-up, and restore any cracked ridge cappings. We offer roof painting services in Sydney for residential as well as commercial roofs, from concrete tile and iron to decramastic surfaces. Our experienced roof painters can give you right advice, and complete the painting job quickly and effectively.